FFC 34 Highlight Reel Video Packs Powerful Punch! 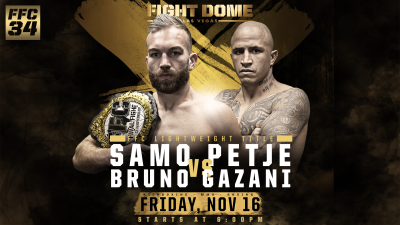 Las Vegas, NV, (November 18, 2018) – “FFC 34: Gazani vs. Petje” delivered plenty of thrilling, heart-pounding highlights at Fight Dome Las Vegas! Samo Petje (35-6-2) retained his FFC Lightweight Kickboxing Title after his classic fight with Bruno Gazani (60-6-1) was ruled a majority draw. 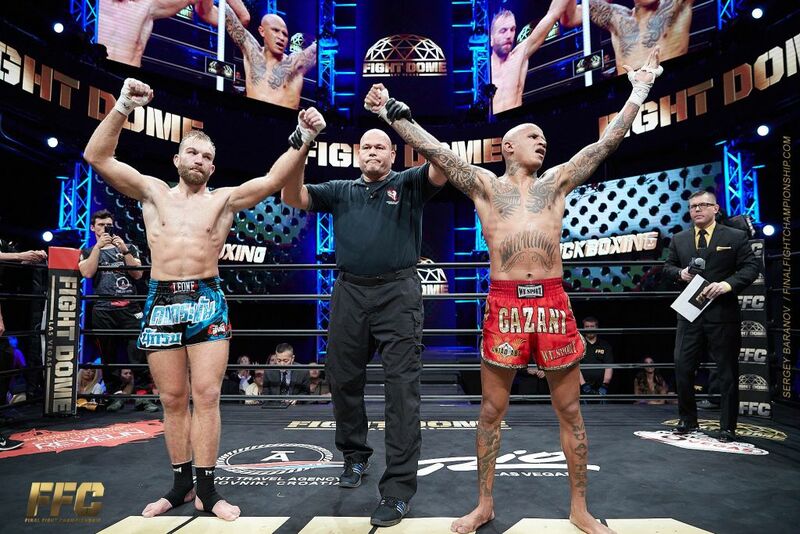 The epic main event between Petje and Gazani was the fight of the night, and Meletis Kakoubavas (33-7-0) winning by TKO against Jermaine Soto (24-7-0) was the knockout of the night. “FFC 34” took place at its permanent home, “Fight Dome”, which is located at Caesars Entertainment’s Rio Las Vegas. The event aired nationwide on CBS Sports Network, and Claro Sports in Mexico and Latin America. 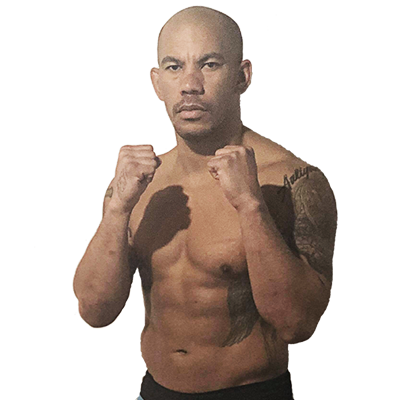 Kickboxing Rocks The Dome at FFC 34 FFC is back for another exciting season!